Be in for the treat of a lifetime this spooky season with the Wicked Wins Slots Tournament! Join BingoforMoney for a frightfully fun tournament between October 29th and October 31st to play for a first prize of $2,066, with $566 for second prize and $366 for third prize winners! To get in on the Halloween hijinks, simply deposit a cumulative $50 per day during the tournament and they will award you one point for every $1 wagered on any slots, PLUS, you’ll get two points for every $1 wagered on selected slots! You’d be mad not to join Bingo for Money for games galore this Halloween in the Wicked Wins Tournament! Bingo for Money is letting you play among the stars between August 1st and August 31st with thier Bingo Las Vegas Trip for Two tournament! Join the fun at any time between August 1st and August 30th by making a minimum deposit of just $50 per day and they will award you with 1 point for every $1 you wager on bingo and another point for every $10 wagered on slots! The top 5 players each day will qualify for the final between 6PM and 12AM EST on August 31st in the Final Room for a chance to win 6 nights at a top hotel on the strip with flights and spending money included! A Vegas victory awaits the BingoforMoney lucky winner! Flight tickets, Private airport-hotel-airport transfer, 6 nights accommodation, 4* hotel on the strip. If the winner of 1st place is non US citizen, they will receive 100% value of the trip in cash. 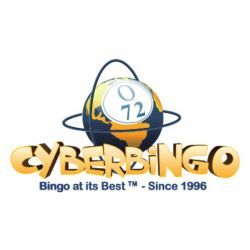 Fly me to the moon with some online bingo cash! Thought the online bingo couldn’t get any better? You couldn’t be more wrong! Discover the magic of the night when you play in the Afterhours Bingo Raffle! Running daily! Every deposit get you one step closer to the huge prize at Bingo for Money. For every online bingo cash deposit you make between 2 AM and 7 AM EST, you’ll be collecting another 1 raffle ticket! The more tickets you earn, the better your chances of taking home the big prize: $1000 Bonus from BingoforMoney! The winner will be announced at 8 AM EST by e-mail and in all chat rooms. Don’t miss out! It’s time win some wild prizes this week in the BingoforMoney Wild Reels slots tournament! Simply spin the reels of the wild slots between the 29th of May and 4th of June and they will reward you with cash prizes! Go crazy for cash prizes! If you love to play slots than you need to visit Bingo for Money this week. Gotta win with the wild, wild reels! Save the Planet as you play Earth Day Mini Bingo this week only at Bingo Fest. On April 22, 1970, 20 million Americans took to the streets, parks, and auditoriums to demonstrate for a healthy, sustainable environment. This date continues to be celebrated every year and is known as Earth Day, a day to highlight the damage that we have done to the Earth and the changes that we can make to help reverse the damage. To highlight this great day at Bingo Fest, they are playing an hour filled with an exciting selection of their most environmentally friendly small bingo patterns. The Earth Day mini bingo fun plays in the Spring Bingo room from 7:00PM EDT on Saturday April 22nd and consists of quick playing small pattern games that include Starting $25 Games and Guaranteed $75 games that will play back to back for a whole hour of bingo fun. All games have a card cost of only $1.00 a card and with a fantastic Buy 6 Get 3 Free offer on all cards, you’ll get more chances to win on Earth Day. Simply select 9 cards of your choosing and you’ll only be charged for 6. This Bingo Fest offer also works when you use our pre-buy option to purchase your cards in advance. It’s never too early to celebrate summer and now you can experience the vibrant season all week long from June 20th to July 3rd in the Summer Party Tournament for online slots! Jump into the fun and spin the reels of the Summer Slots game at Bingo for Money! Soak up 1 tournament point for every $10 you wager on the Summer Slots game and get ready for the following hot cash prizes! See you at the biggest bingo party so far this summer playing now at BingoforMoney. The Bingo for Money Reverse Coveralls Bingo Tournament is a twist of coverall delights! Reverse the odds in your favor by joining the fastest Reverse Coveralls tournament! From March 21st to March 27th you have the unique opportunity to play the most exciting reverse coverall speed games and increase your rewards with every ‘bingo’ call you make! Pre-buy your cards now and get ready to stack up some serious cash piles! Grab your share of the online bingo cash when you play at BingoforMoney all this week. All this week there are big opportunities to win it big in the Bingo for Money big bucks bingo tournament. Get ready to stack up the cash! Cover all the chances to score some big time cash prizes by playing coverall bingo games only in this Big Bucks Coveralls tournament! Every day, from January 11th to January 17th you have the opportunity to win within the first 50 calls and score some awesome rewards up to $4000! Choose any of the designated rooms, check out its’ schedule and start playing with the big boys now! The time is now – Pre-buy your tickets and claim your bingo bonus membership! Best of luck everyone and we will see you at the Bingo for Money Big Bucks Tournament. Enjoy a twist of coverall delights at Bingo for Money. Reverse the odds in your favor by joining in the newest Reverse Coveralls bingo tournament! From November 30th to December 6th you have the unique opportunity to play the most exciting reverse coverall games and increase your rewards with every ‘bingo’ call you make! Pre-buy your cards now and get ready to stack up some serious cash piles with Bingo for Money! Good Luck and have fun as you play Bingo for Money Reverse Coveralls!